Pages: 351 Including Bibliographic Notes, 32 pages of Notes (resources and attributions). 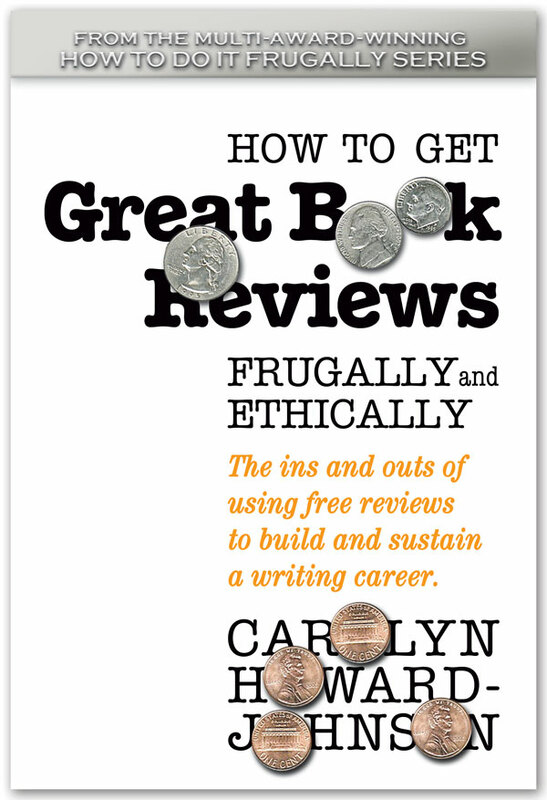 The Acknowledgments is a five-page trove of gratitude as well as resources for writers seeking professional support for everything from “book jacket” support, to agent and editor, to foundations, fellowships, and libraries. “I inherited [my father’s] love of books and reading, and I grew up surrounded by his vast book collection, which made me feel close to him and continues to, now that so many of his books, all faithfully kept by my mother through many years and her move from our house to an apartment, are mine. My father collected the works of his contemporaries—Saul Bellow, Norman Mailer, Henry Miller, Philip Roth, and others . . . but he had a copy of Thomas Seltzer’s trade edition of the early 20th century greats I cover in this book. I didn’t realize growing up that we had no Woolf in the house . 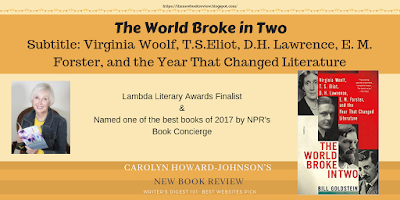 . . but a visit to my mother’s apartment is also a visit to my father’s library, and there are books behind the books on all the shelves, and I will keep looking.” ~From the” Acknowledgments” of The World Broke In Two. This anecdote included in Author Bill Goldstein’s Acknowledgment may be a sketch of the kind of reader who will appreciate this book. A more precise list might include readers who appreciate finely researched history and how it affects today’s literary world and, by extension, the world at large, literature majors, and, of course writers of any genre—especially those who seek to apply early 20th century ground-breaking techniques to their own work. If I had read this book sometime during my creative writing and English literature classes, I would have had a greater appreciation of the assigned novels and poems and, by having a better understanding of this history of the changes in literature, been better able to assimilate the pre-Proust literature I had read along with the post-Woolf (sometimes labeled post modernism) techniques my teachers were trying to get across to me. To put it more succinctly, I would have been less bored with the blue mixing bowl eliciting memories in Woolf’s The Hours (and more likely to apply what I now call the “blue-mixing bowl and teacup” technique to my own work. If my clients better understood it, they might be less tempted to stick their internal dialogue into italics! If, as a reader or writer, you understand the literary term “modernity,” you might neglect (or accept) the conditions—political and personal depredations—that attract authors (and thereby literature) to it and to this book. If you believe writing should be a joy, you may be disillusioned by these stories, essentially the stories of the greatest writers of their time (Woolf, T.S.Eliot, D.H. Lawrence, E. M. Forester and—coincidentally others who influenced them like James Joyce and Proust. If you love a good biography, you might fall in love with it! Though for some this book may be an uphill climb over the intricacies of the literary world, this is a book that, like the author’s tender anecdote in his “Acknowledgments” quoted above, will not go into the charity giveaways for Salvation Army shoppers but be tucked into the back corners and nooks of those who treasure books and keep the most valuable, the best of the best for future reference. Mine is full of tweaked corners, underlines, and margin notes for future information. The reviewer studied English, American, and Russian Literature in college. She was graduated from USC (University of Southern California) and did post graduate work at Arizona State University, Herzen University (St. Petersburg, Russia); Cambridge University, Trinity College (UK); and Charles University (Prague, Czech Republic). Her most recent book of poetry, Imperfect Echoes (http://bit.ly/ImperfectEchoes), was released to accolades from Midwest Book Review.